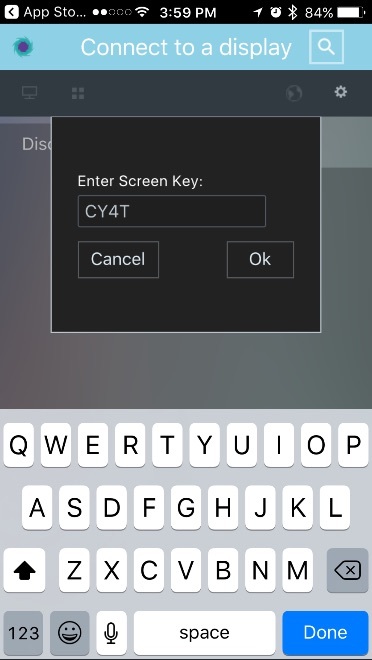 Locate the Solstice Client and open the app. 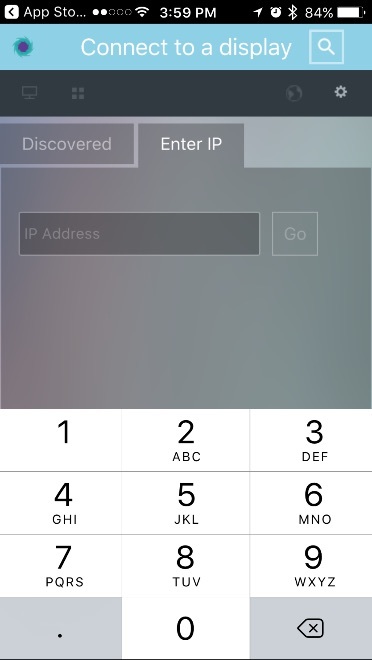 Enter the IP address located in the lower left of the display and click Go. 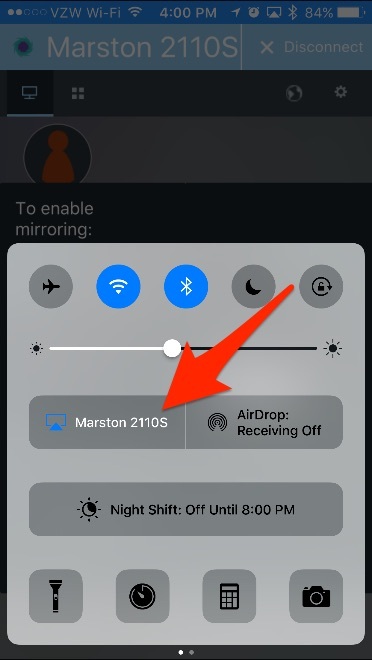 To manipulate what is shown on the Solstice, Select the Window Control icon in the upper left hand corner. 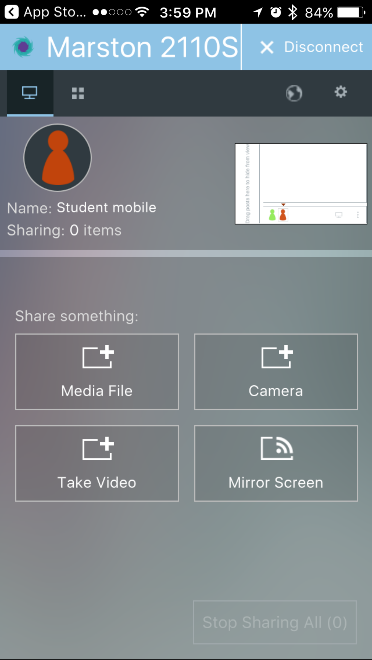 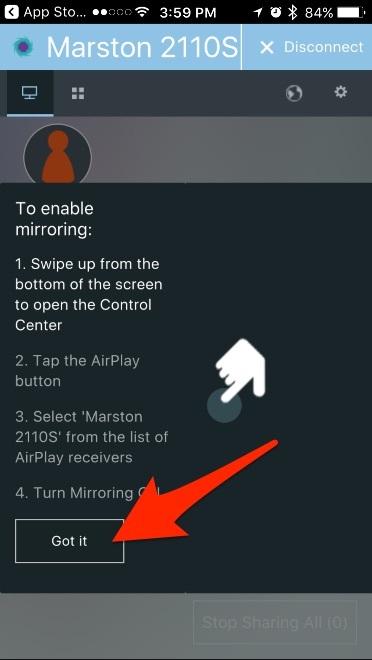 To mirror the screen on IOS, select Mirror Screen in the solstice app. 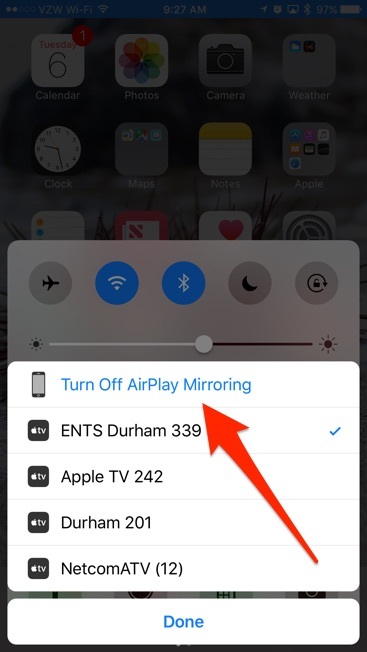 Swipe up from the bottom of phone to get to Control Center. 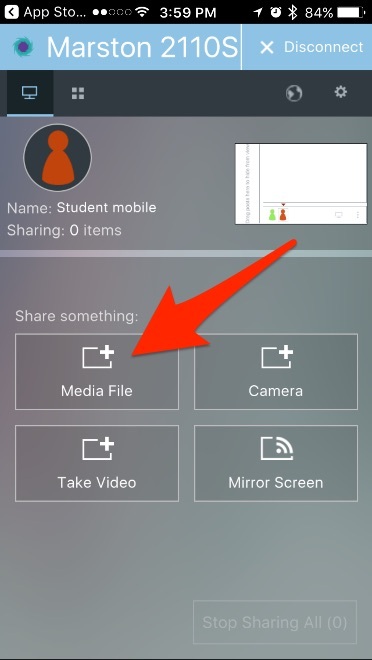 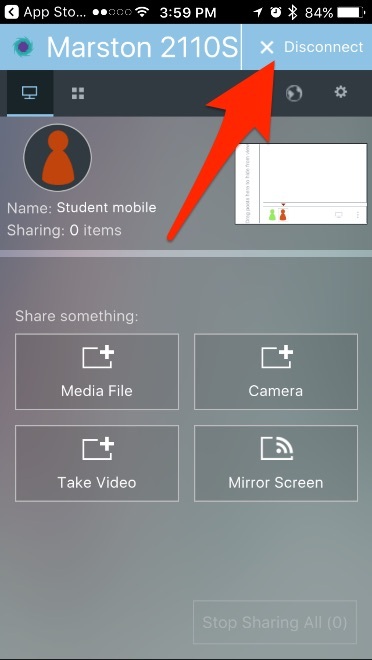 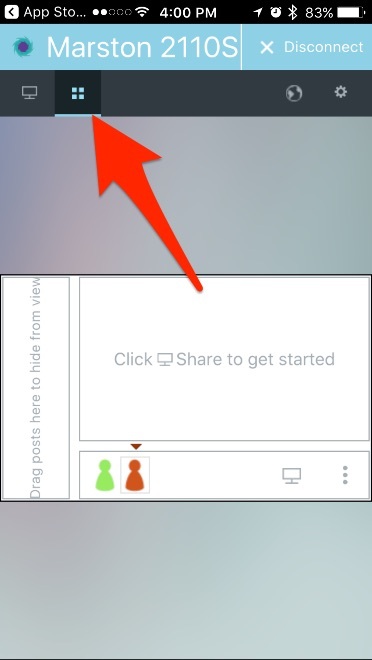 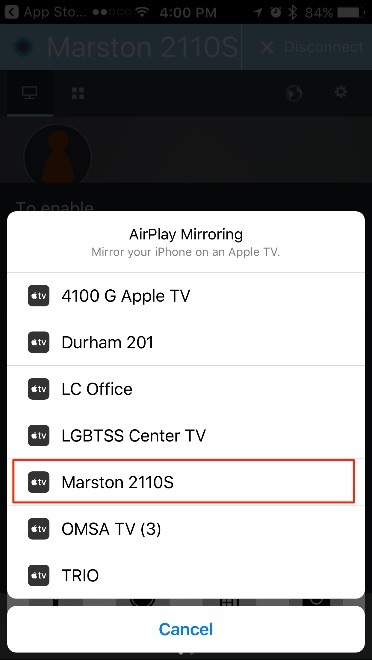 Click Airplay Mirroring. 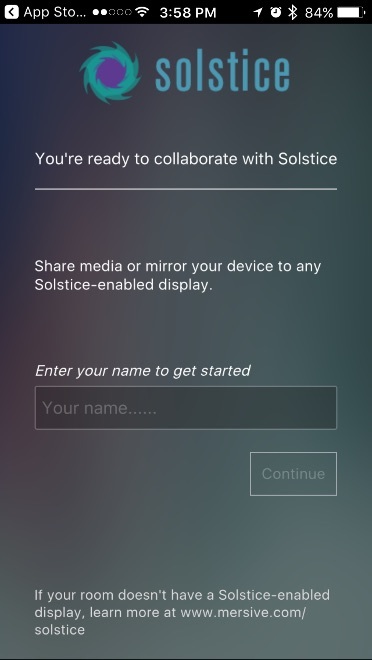 Select the name of the Solstice you are connecting to and your phone will be displayed on the screen. 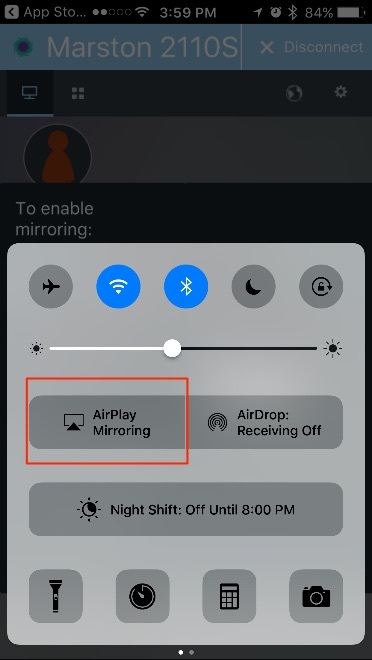 To end AirPlay Mirroring, in Control Center select the solstice you are connected to.